Today is my birthday and I did a little cartoon to memorialize it. I think that I am a lot younger than I look and feel. But, the truth is that I ain’t young anymore and the older I get the odder I get. It is fine. Strangers who see me drawing stuff while I ride a train or wait in an airport feel free to look on and talk which is both embarrassing and fine. The deal is that if you do work that you like, you’ve got no choice. You must keep doing it. I once worked in a job I hated, did it for years and while I was occasionally good at it, I admired those who loved it and knew that I would never be as good as them at it. So now, I thank my lucky stars that I am past all that and do the work that I was always meant to do, scribbling and doodling one way or another, morning until night. And, everyday, I can’t wait to do more of it. The cartoon was done with a Wacom pad using Corel’s Painter 12. 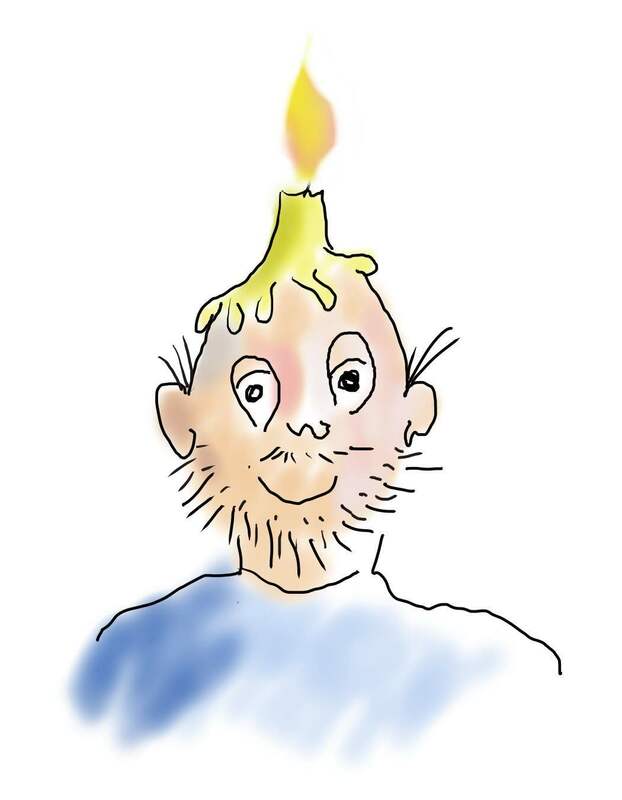 This entry was posted in Uncategorized and tagged arts, Birthday, Candle on head, illustration, people, transportation, whacky. Bookmark the permalink.